We don’t follow many hard and fast rules when it comes to driving days. We don’t avoid rainy weather days, we don’t always stick to the 200 miles or under rule, and we often arrive late in the day (sometimes in the dark if necessary). We do try to be reasonable when it comes to driving, but sometimes you gotta do what you gotta do. 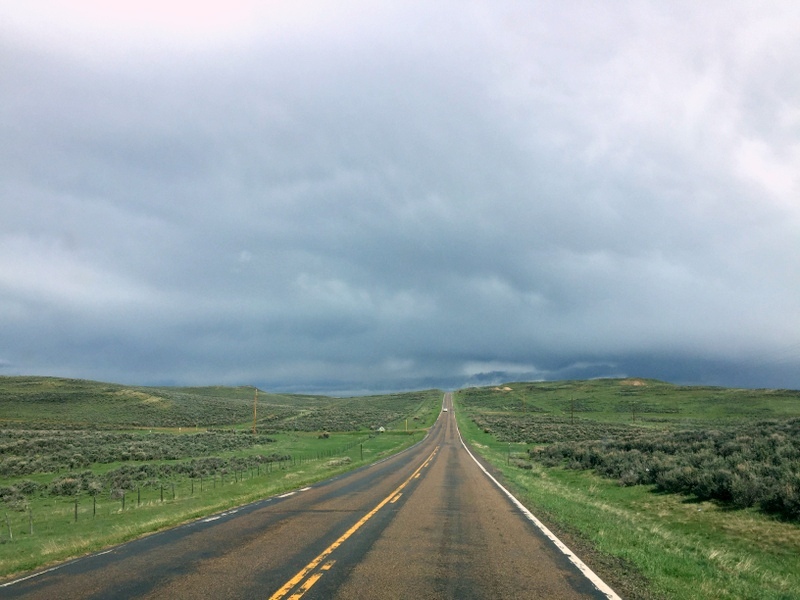 Which is why it shouldn’t be too much of surprise that last weekend we drove 600 miles in the rain from Grand Junction, CO to the Devil’s Tower National Monument in Wyoming. We got a jump start by leaving Grand Junction on Friday afternoon instead of Saturday morning. It was a good decision because by the time we ran one last errand in town, filled up with gas, and stopped at the dump station (Fruita has a free dump and potable water at the welcome center off 1-70) it was already getting late. So we drove just a few hours and spent a pleasant night at the very quiet Walmart in Craig, CO and in the morning continued north. It rained on and off all day, but it was dreary and very cold. Most of the drive looked like this. 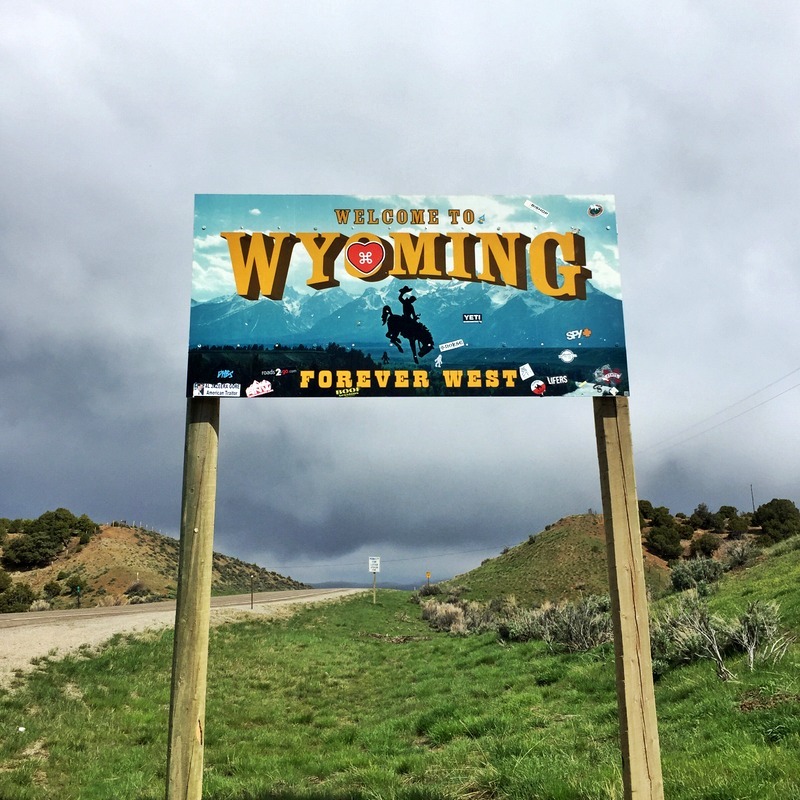 Before we knew it we were crossing the border in Wyoming. The scenery did not get any more interesting. Not a lot to look at around these parts. We stopped for lunch at Independence Rock. 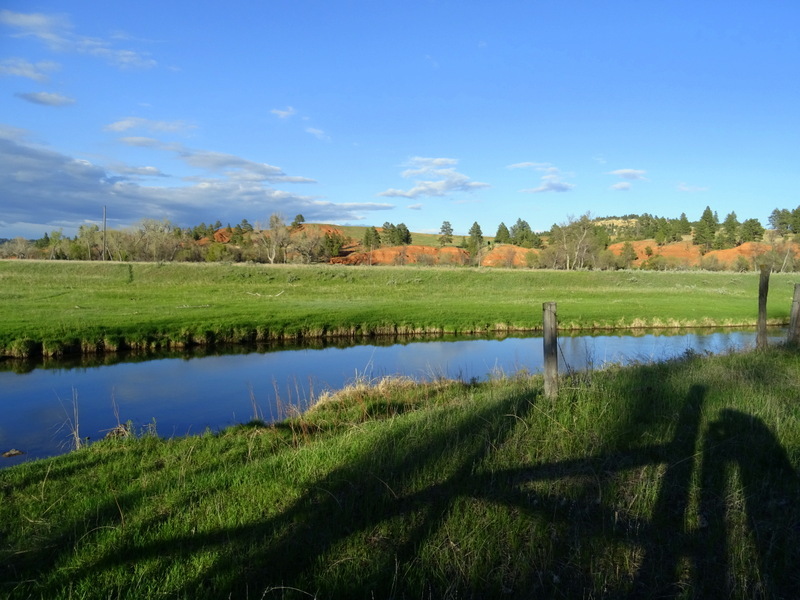 This large rock mound is touted as Wyoming’s first tourist attraction. There’s a path around the rock that I thought would be perfect for stretching our legs, but then I stepped out of the truck and remembered what 40 degrees felt like. Sorry Independence Rock, maybe next time. 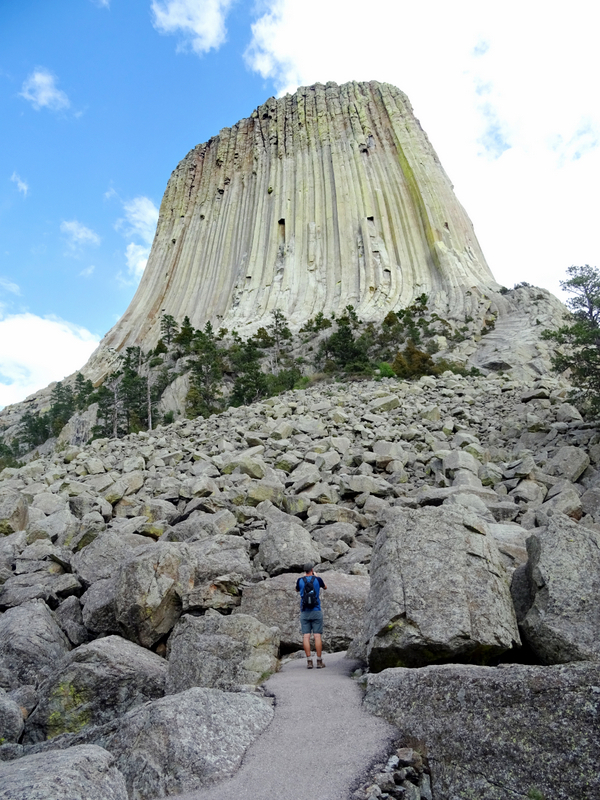 After another night at a Walmart, this time in Casper, WY, we had a short drive on Sunday morning to the Devil’s Tower. 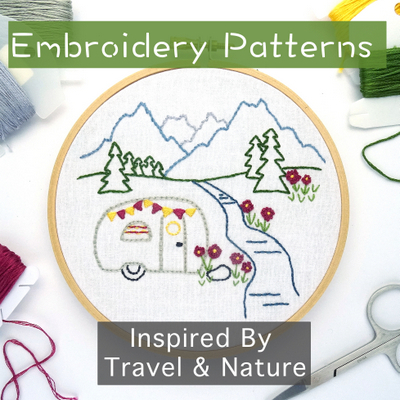 When we visit national parks we always prefer to stay at the campground inside the park. Mostly because we do lots of things after work and the closer we are to action the more time we have to play. National park campgrounds also usually have that natural feel we prefer with widely spaced sites and easy access to trails. Sometimes you even get lucky and score a spot with a view of the main attraction. Now that’s a site with a view. Sometimes we can’t stay at national park campgrounds because they’re either booked months in advance or so popular that even the no reservation sites fill up in minutes. That was not the case at the Devil’s Tower. This early in the season only one loop of the campground is open, and for most of our three night stay it was just us and the two camp hosts. 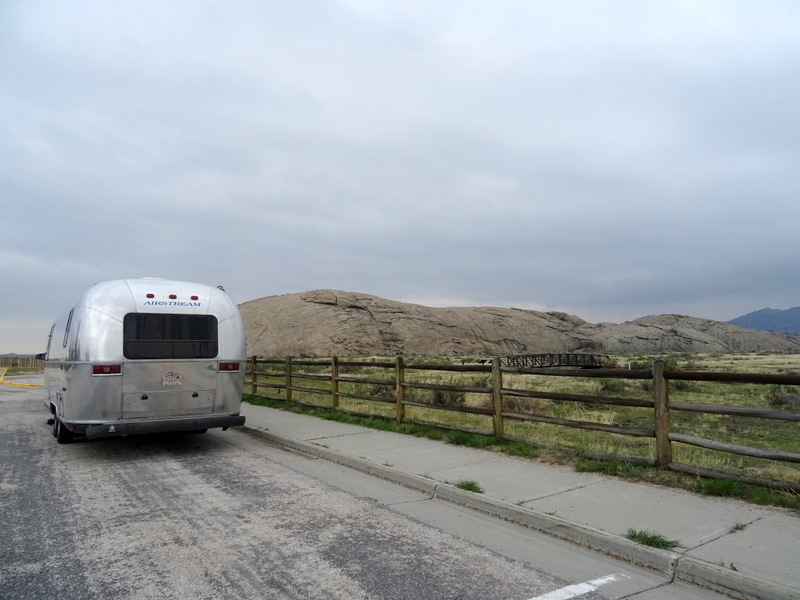 In the later afternoon, a handful of RVs and tenters would arrive, and then by noon the next day we had the place to ourselves again. I’m sure it gets busier in the summer months, but since this is such a small park it seems that most people only stay a night or two. As we left prairie dog town and started up the hill to the tower we spotted something that looked bigger than a prairie dog off in the distance. Are those foxes? Yup, as we got closer we could clearly see two small red fox kits lounging outside their den. They were only about 20 feet off the trail and they kept a close eye on us as we slowly walked past. Aren’t they adorable? There are a couple different trails that circle the tower. One that makes a wide circle through the trees and meadows with occasional glimpses of the tower, and another paved loop that starts at the visitor center and travels around the base. We did both trails plus the steep side trail from the campground on the first day, and then a repeat of the longer trail on our second day. 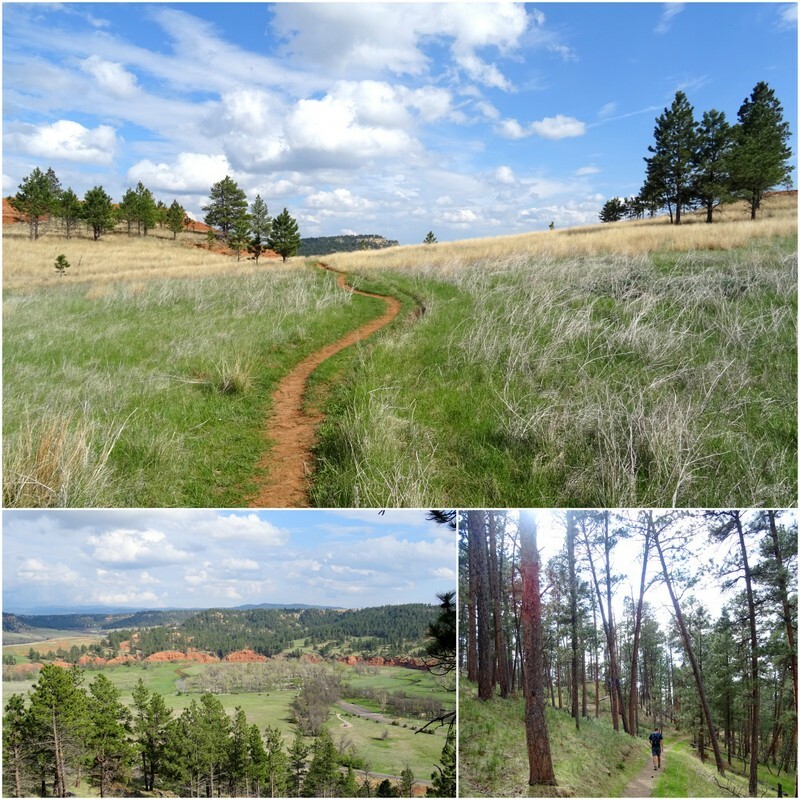 It was a novelty to be hiking in the trees again, and we really enjoyed the varied terrain and great views. As we approached the base of the tower the skies quickly turned dark and ominous making our first close up view of the tower quite dramatic. 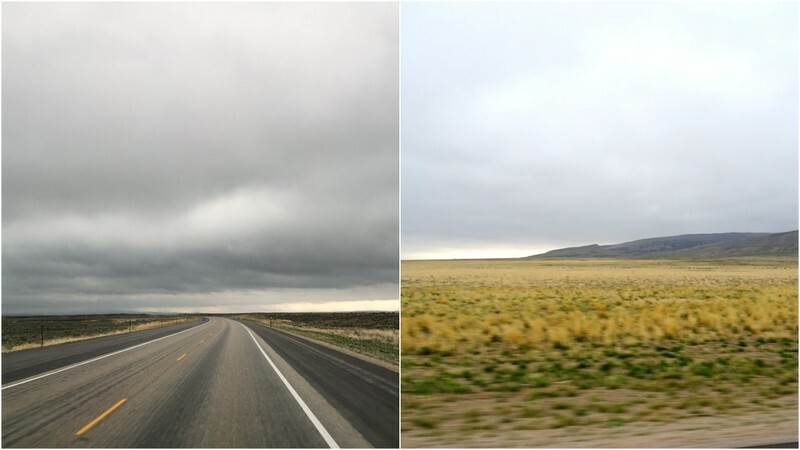 We picked up the pace and reached the visitor center just as the rain started to fall. Luckily it was only a passing shower and by the time we looked at the displays and bought our magnet the rain had stopped and the skies were clearing. The Devil’s Tower has been a source of wonder for ages. 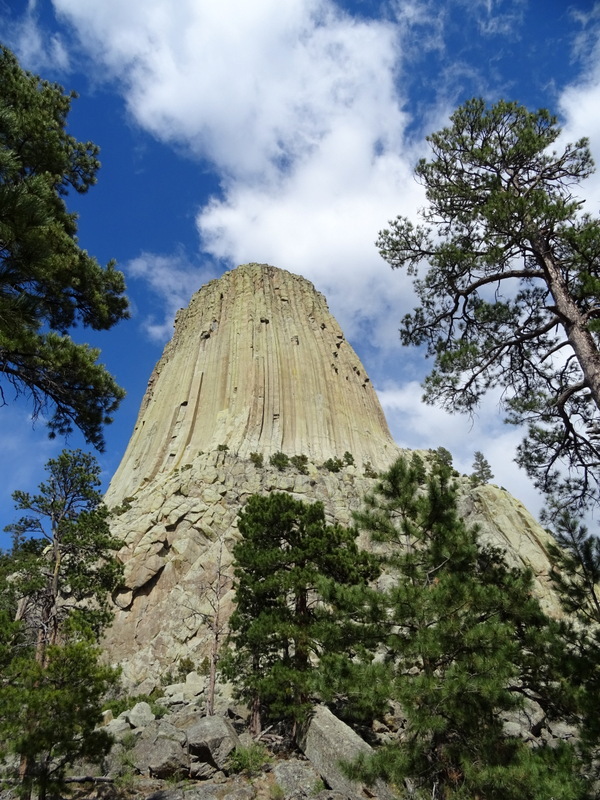 The Native Americans have a number of legends about the origin of the tower, most involving bears, while in more modern times some people have speculated that the source of this strange rock could be other worldly. Personally, I find the science driven narrative about how this tower came to be the most fascinating. It’s all about erosion. Maybe we’re the only weirdos who find this concept so interesting, but as we hike and explore the western side of the country Tim and I frequently find ourselves discussing erosion (yeah, I know we sound like really fun people to hike with). It’s just so amazing that all these cool rock formations, slot canyons, and massive canyons were all formed by wind, water, and lots and lots of time. 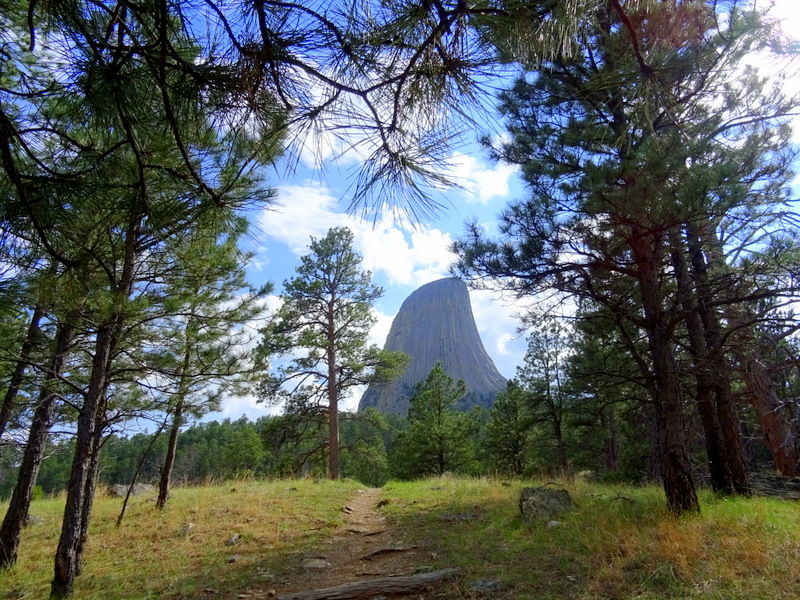 The Devil’s Tower was a great place to spend a few days, but we must keep moving. Up next…South Dakota, here we come! Thanks for sharing, we’ll have our own Close Encounter with the Tower next year. Always good to current perspective from those who share their experiences. Aren’t they the cutest??? We could have spent all day with them. No sing of mom. I wonder if she was out hunting for dinner. We really enjoyed Devil’s Tower. We spent a couple of days there basking in her beauty. If you get time, take a tour of Jewel Cave. It is really fascinating. Now THAT is a perfect campsite. 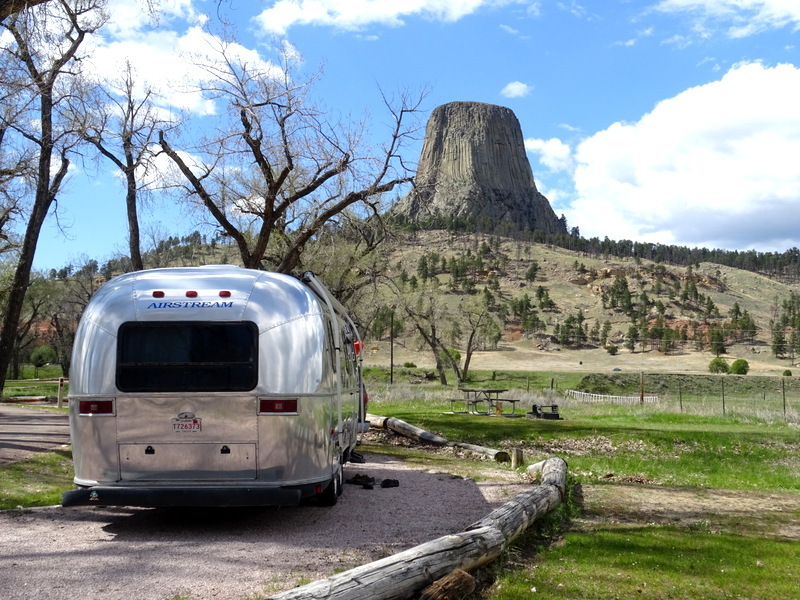 Devil’s Tower is on our list, and I’d like to get your same campsite. :-) The rock formation looks a lot like Devil’s Postpile near Mammoth. Another beautiful example of erosion. 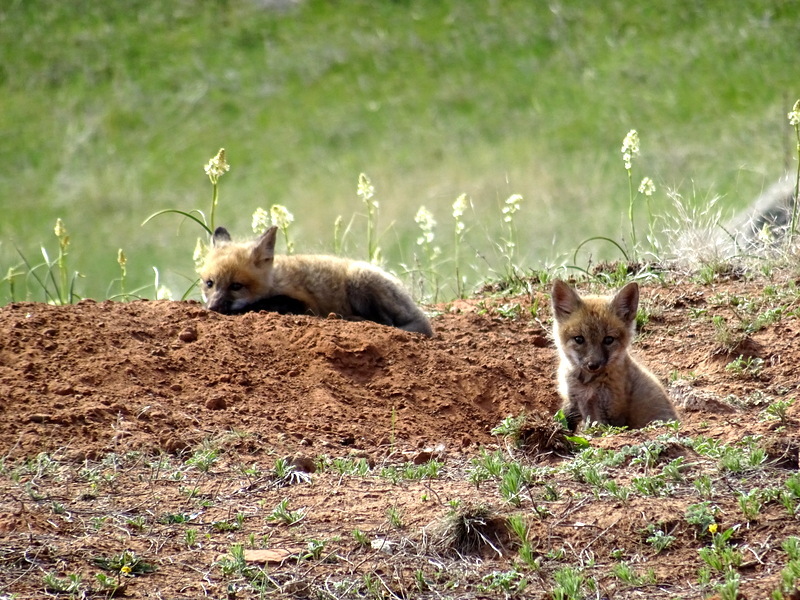 Lucky you to see (and photograph) those adorable fox kits! It was site 18 in the B loop. There are others with tower views, but we liked the fact that we had a view and the river went past our site. A few people on FB also mentioned the similarity of the tower and the Devil’s Postpile. We tried to go there when we were in Mammoth, but it was too snowy. Sounds like we need to put it back on the list. Thanks! ;-) Definitely put Devil’s Postpile back on your list. It’s a beautiful hike, especially if you continue on down the trail to the falls. We have info and photos on our site when you go. 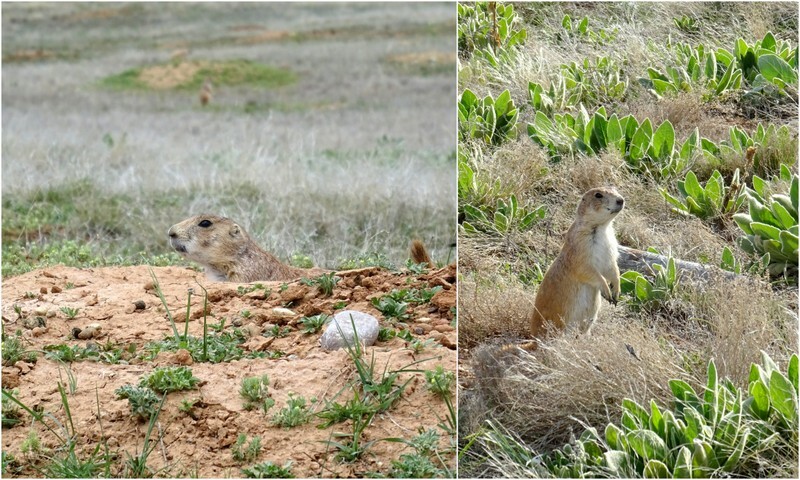 Those prairie dogs at the base of DT sure are cute – but over in the Badlands there’s a large sign that warns “Praire Dogs Have Plague” So we gave them a wide berth – Yikes! We remember those signs from the Badlands. They didn’t have signs about it here, but we still didn’t get too close!